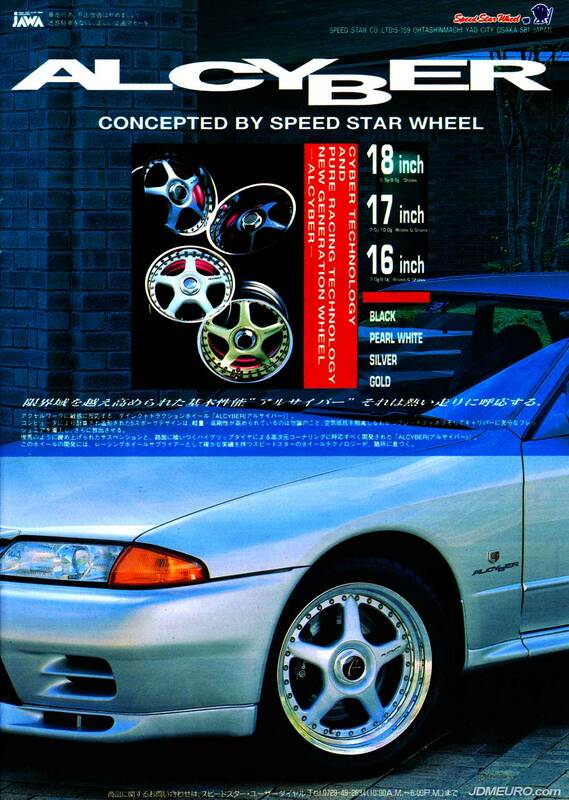 The SSR ALCYBER are JDM Wheels which were made in Japan by Speedstar Racing. The SSR ALCYBER feature 2 piece construction with a 5 spoke face bolted to an aluminum barrel. Pictured are the SSR ALCYBER bolted to a Nissan Skyline GTR R32.